Maybe you already have a lawn care service and you wish the company was doing a better job. Or, perhaps you’re hoping to improve the way your lawn looks and you’re ready to call in the pros. What are the best lawn care services in the Flower Mound and Lewisville, TX area that will get the job done right? You expect to get results when you spend the money to hire a lawn care service. And, you don’t want to worry about your lawn anymore—but maybe you are a little worried that you’ll make the wrong decision with hiring a lawn care company to do the work for you. We get it. Many homeowners turn to online reviews to determine which lawn care services are the best. This is a great place to start because you can gather honest feedback and ratings from actual customers and also find out information about lawn care services’ programs. Still, sifting through online reviews and lawn care service websites can feel overwhelming because there’s so much information out there. We’d like to take a moment to help you filter through the noise and help you on your journey to find the best lawn care service near you. 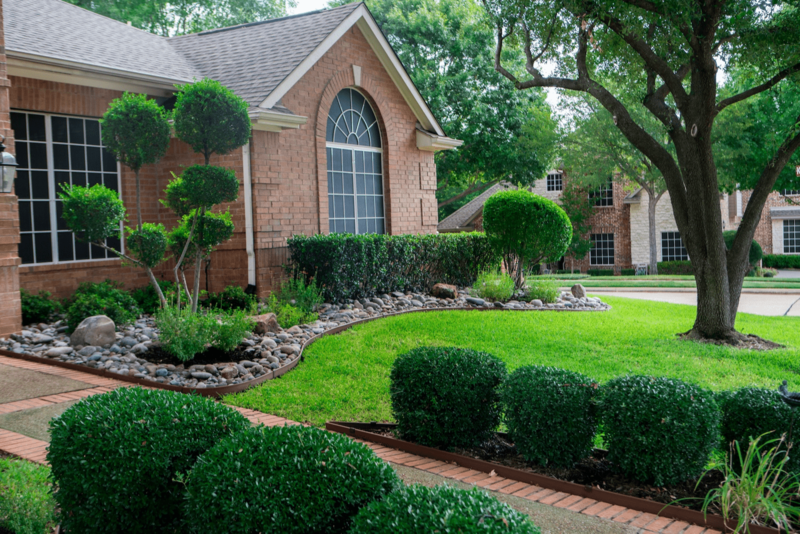 So, we put together a list of some options you’re bound to find in your search for the best lawn care services in the Flower Mound and Lewisville, TX area. 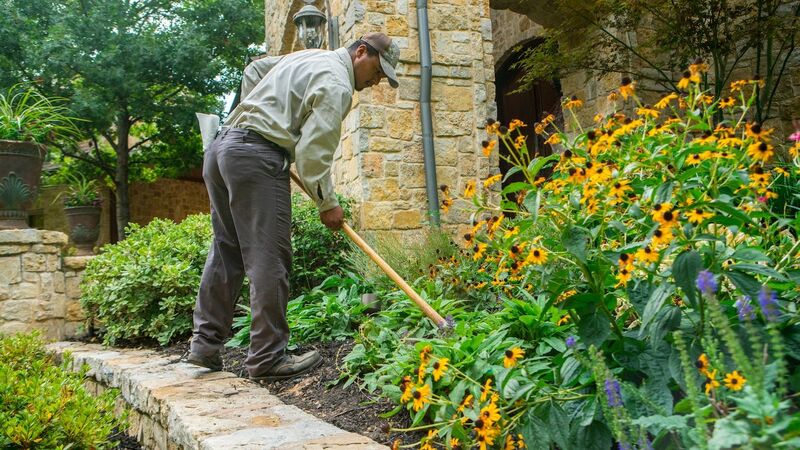 Premier Lawnscapes of Texas is a locally owned lawn care service that also offers an extensive array of landscaping services, including building patios and installing irrigation systems. They offer three lawn care maintenance programs—a total maintenance package that includes tree and shrub care, a mow plus package that focuses on the lawn, and a mowing only option that does not include lawn care. Premier seems to offer many landscaping and lawn care services, based on the information you’ll find on the company website. That could be convenient, but sometimes companies that boast many capabilities are spreading their talent thin. Is this business be great at everything they offer? Meier’s offers an 8-treatment lawn care program, highlighting the key weeds that its service is designed to manage various weeds. Meier’s promotes that it is licensed by the Texas State Department of Agriculture, and it services lawns in the Flower Mound and Lewisville, TX area. Meier’s offers a single lawn care program, which might work for some customers, but what if you need a more tailored plan to get your lawn in shape? Founded in 1988, Thompson Landscape offers residential lawn mowing, lawn care services, and landscape maintenance. 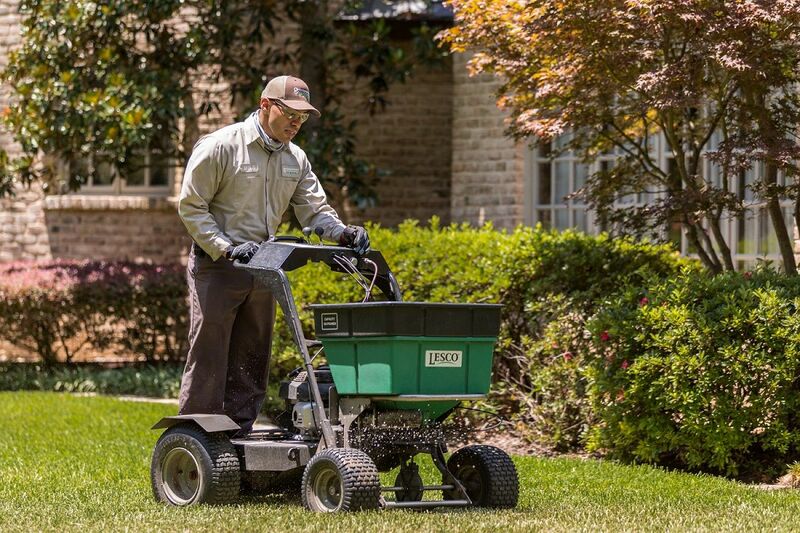 Their lawn care package includes customizing a package with the options of six lawn fertilization and weed control applications, four tree and shrub applications, and one fire ant control application. 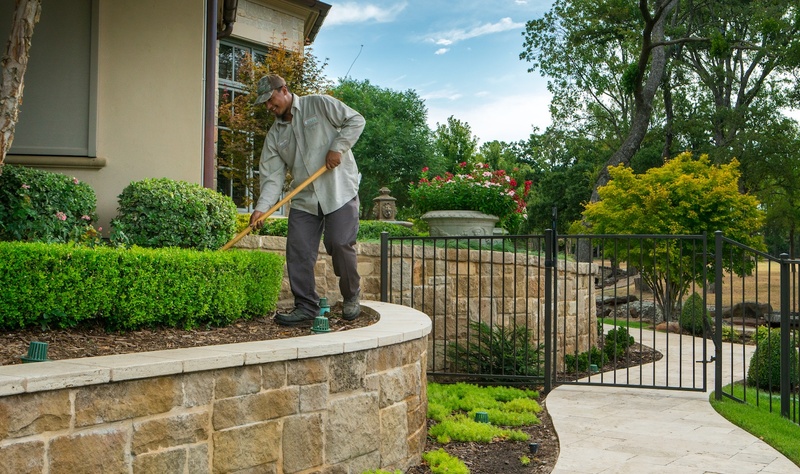 Thompson Landscape provides lawn care services in Flower Mound and Lewisville, TX, along with surrounding communities like Plano and McKinney. Their service area stretches farther than some competing locally owned lawn care services, which isn’t a positive or a negative. Though we have found that businesses that concentrate in a community tend to build personal relationships with people because their teams work, live and play there. Ryno Lawn Care has been maintaining lawns and landscapes since 2006. Their lawn fertilization service includes various treatments. Ryno Lawn Care also offers Holiday Lighting services, too. As a full-service lawn care company, Ryno provides mowing, cleanups, sod installation and irrigation services along with its fertilization and weed control programs. But from the website, we don’t see a complete maintenance package that allows a customer to have that single service provider experience. 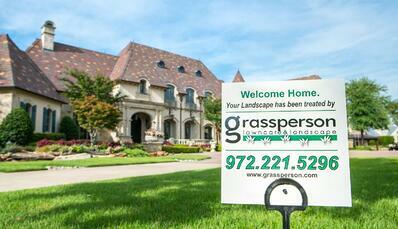 This family-owned business has been offering lawn care services in Flower Mound and Lewisville, TX, for some time. Their lawn care program includes fertilization, weed control, fungus and disease prevention, and lawn aeration as an add-on service. Gecko Green’s lawn technicians participate in continuing education programs, and the company boasts personalized service. Their site shows lots of team pictures, which indicates to us that they value their people. 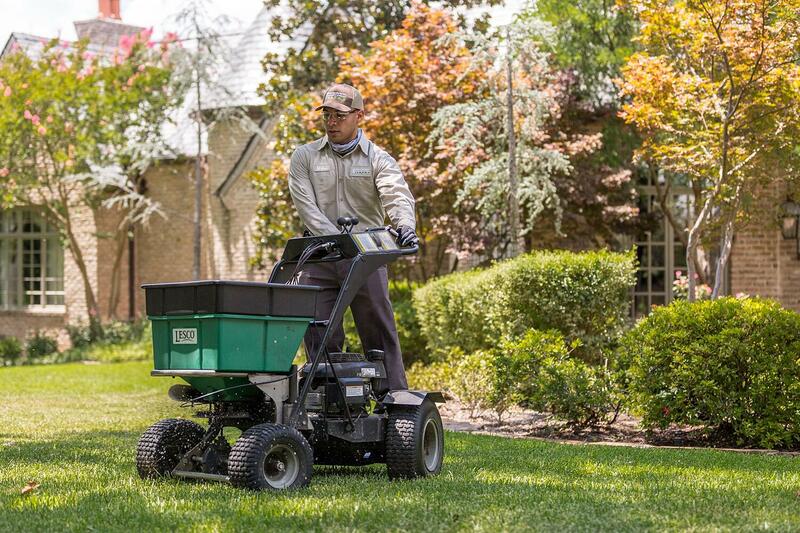 While they offer lawn applications, tree and shrub care, and pest control, Gecko Green does not provide mowing services so customers would have to hire someone else for that. 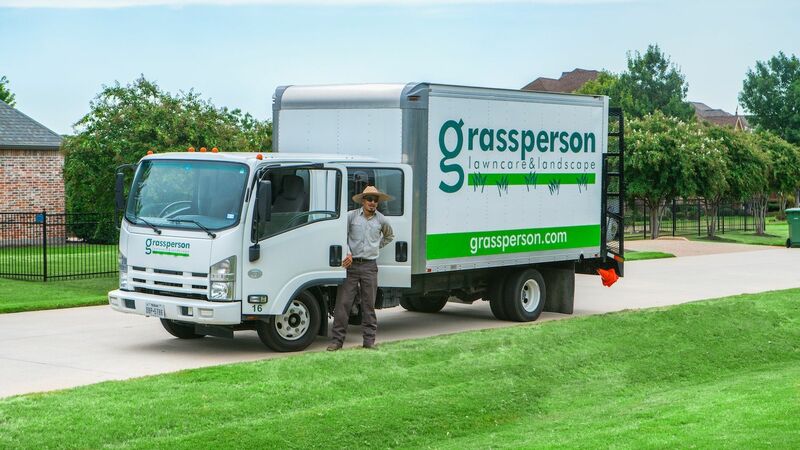 Grassperson was founded in 1999, and as a company that is licensed by the Texas State Department of Agriculture, it invests in education and ensuring that team members are trained and can serve as a consultant looking to improve your lawn. The company offers tailored lawn care programs, which includes a 7-step program with three package options (lawn care, lawn care + mowing, total maintenance) based on your lawns’ needs and how much work you may want Grassperson to do. 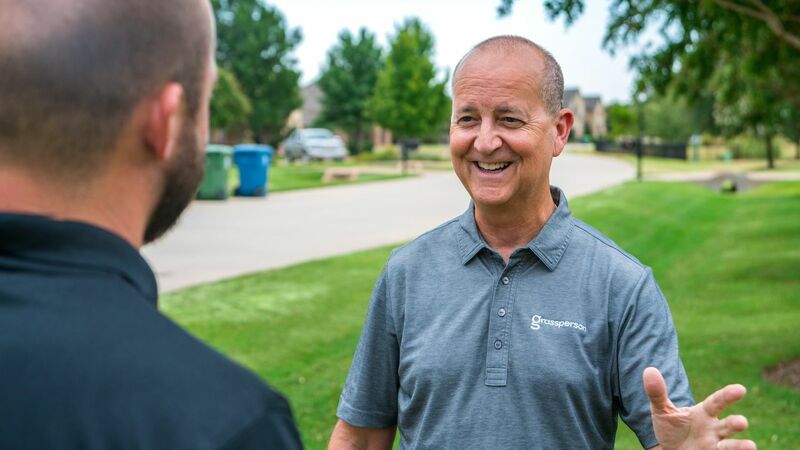 As a full-service lawn care and landscape maintenance provider, Grassperson can be a single source so a customer won’t have to hire a different company for lawn mowing, tree and shrub care, landscaping or holiday lighting. And, we are heavily invested in training and developing our people, and providing them with great benefits. We know that when we give to our people, they give to our customers. On top of all that, you’ll find that our company is just what we think is a perfect size, not too big or too little. We stick to a local community and are dedicated to becoming the absolute best. 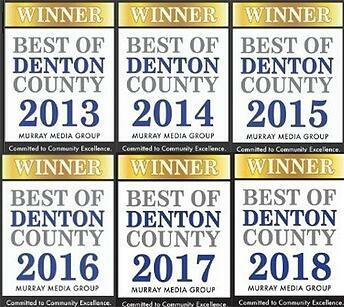 We invite you to compare Grassperson and our company’s approach to lawn care to these well-known Flower Mound and Lewisville, TX competitors. 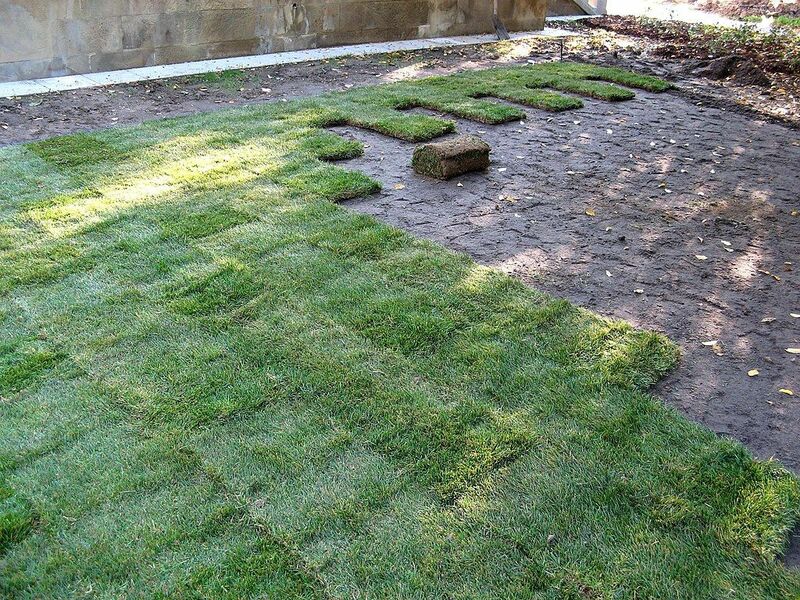 Find out how you can get the best lawn on the block by getting a free quote today.